Friday September 5th will see a special evening hosted on US prime time television in support of Stand Up 2 Cancer, a US-centric organisation (also supported in Canada), established within the entertainment industry specifically to raise funds to accelerate the pace of groundbreaking translational cancer research. The event will feature performances from top recording artists and celebrities from film and television, and feature patient stories that illustrate the remarkable progress that SU2C has made in cancer research since its inception in May 2008. During the show, those watching will be invited to offer donations to SU2C, with the guarantee that 100% of public donations received by the organisation will go directly into supporting SU2C’s collaborative research programmes. 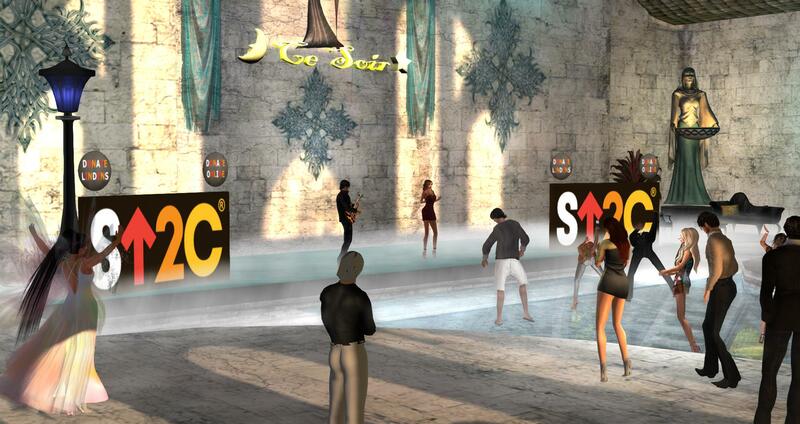 To mark the event, music venues across Second Life, together with SL artists and musicians from around the world are coming together in 4-day festival of music and fund-raising also in support of SU2C. SL Music Races for a Cure has being organised by Still Braveheart, has the full approval of SU2C, and is also listed as an official SU2C fundraising team. In all some 23 live music venues and over 150 performers will be taking place across the weekend.Those attending any of the events can make donations to SU2C at the venues themselves via the SU2C donation boards, or they can visit the team webpage and made donations there. Full details of venues and performances can be found at The Shore – simply click on the Stand Up 2 Cancer logo to receive a note card set for venues and performers across the 4 days. However, to give you a flavour of things, you can see the line-up as it stood at the time of writing this piece. There were still some slots open across a number of venues through the four days of the event, so if you are a performer and would like to participate, please contact Still directly.